Rent villas in Propiac, France with private pools. Drôme Provençale and its most beautiful sites are waiting for you thanks to this beautiful holiday home with private pool set in the charming village of Propiac les Bains, 23km away from Nyons. This beautiful four bedroom holiday home is situated in the beautiful village of Propiac Les Bains, 6 km from Buis Les Baronnies. Equipped with a private swimming pool. 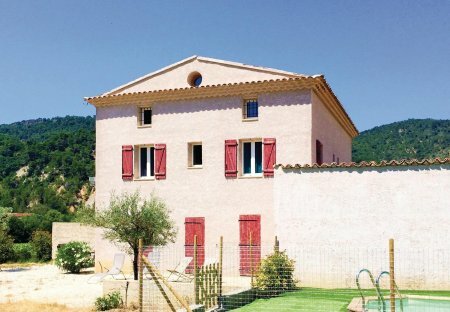 This lovely holiday house located at the entrance of the village of Propiac les Bains, facing the vineyards and mountains of the Drôme Provençale.